The link http://www.independentsoft.de/msg/tutorial/readmessage.html shows how to parse and read the msg file by passing the path of the msg file. The Most important part, in this case, is to handle the attachments and the embedded content when the .msg file is parsed. 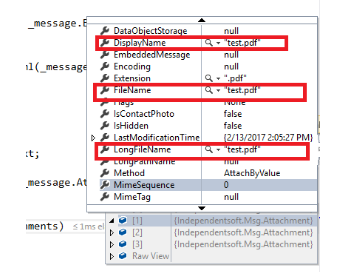 Attachments and the embedded content like inline images are not parsed into different Objects, these are parsed as single Attachments List Object when the path of the msg file is passed to the Message Class constructor of the IndependentSoft MSG.NET package. 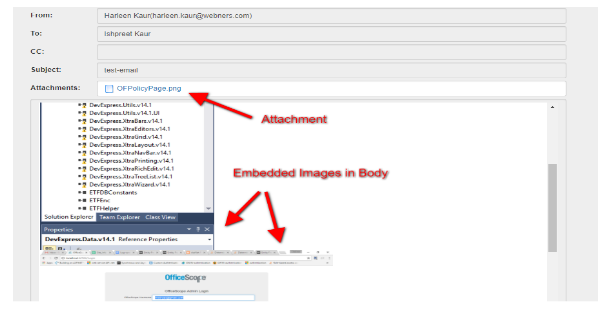 But there are some different conditions that we can apply to handle the attachments Object to display the actual list of file attachments and insert the list of files of embedded content into Body text at its actual place to show the actual view of Msg file in our Custom Viewer. On click of attachment, image file opens in the next tab of browser as specified in the c# custom code. 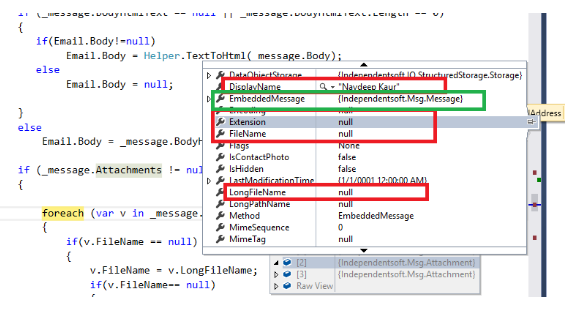 Screenshot below shows the list of attachments on expansion of the attachment list Object. So we replace the content id of the image/file by inserting the image at the time of displaying the body in Custom Viewer Page. 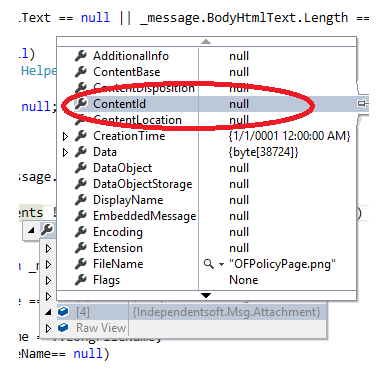 At one exceptional place, Content Id for one of the actual file attachment was not null, (But that contentid was also not existing in the body text place). 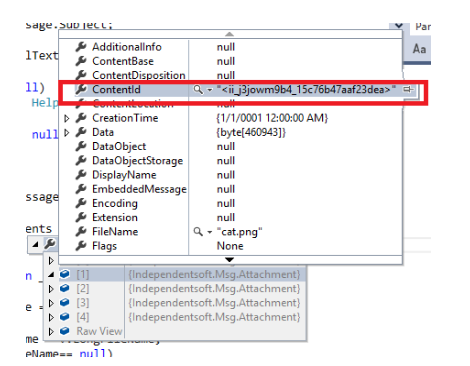 There can be cases when the outlook items itself is attached inside the msg file for eg a contact outlook item is attached in the msg file. In this case, attachment object is not parsed normally as other files like image files, text files are read by the package. In case of outlook item, instead, it is further parsed by the package. 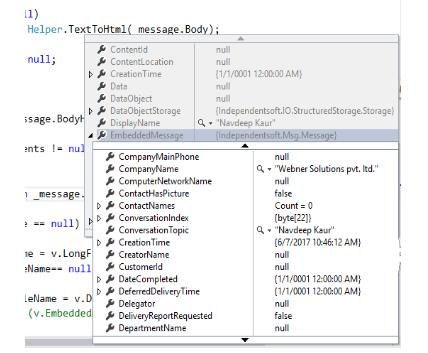 Screenshot below of the custom viewer shows the outlook items – contact type and email type attached to my original email type msg file. 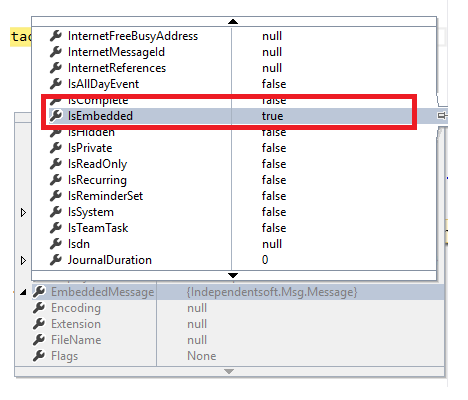 But in case of outlook item, the outlook item is further parsed by the MSG.NET package into the Embedded message object field as the original msg file is parsed. As I had a requirement to download the attached msg file on click of the link in the attachments panel that contains hyperlink of msg file, So I need to create the msg file from the ‘EmbeddedMessage’ object. We can handle the outlook attachment in this case by creating the msg file on our machine by using the ‘save’ method from the MSG.Net package message class explained at the link http://www.independentsoft.de/msg/tutorial/createmessage.html.